Sovet Italia has established itself as a pioneer in the glass furniture industry. Over a few decades, since it was founded in the 1980s, the Italian brand has expanded its furniture lineup to other materials like wood, steel, ceramic and aluminum, among others. Currently, the brand again becomes a pioneer in the field of customization. 1. Choose the measurement of the furniture. The configurator is available for all types of gadgets. When one makes the selections, a realistic rendering of the product will be shown on the screen along with the measurements and other details. 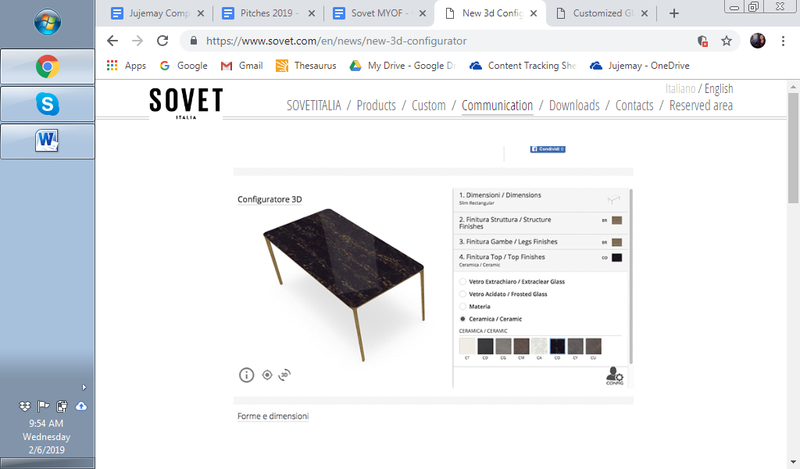 Clients are essentially designing their own furniture with this Sovet Italia system.